Main website layout was designed to highlight elements of the new Corporate Identity. 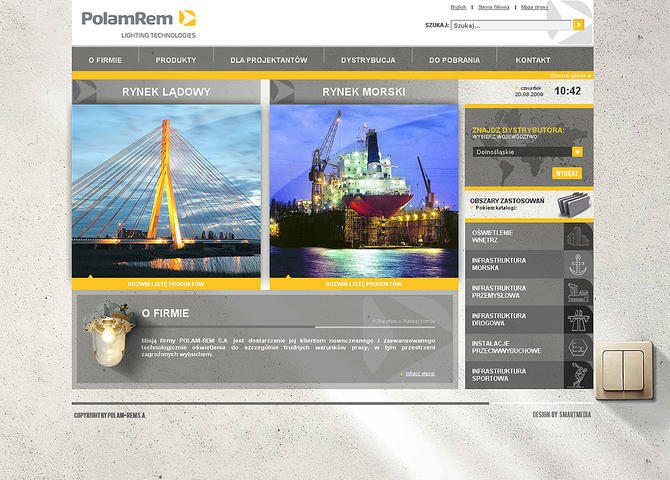 The goal was also to present products for two main sales markets of Polam-Rem: land market and maritime market. Additional element is randomly changing background which shows either a wall in a factory or inside the ship. The functionality of the site was also enriched with interactive maps of sales representatives and product resellers integrated with MODx system.